Round 10 of Hero I-League saw some witnessed some fascinating matches with Minerva Punjab FC's encounter against Churchill Brothers fetching the maximum number of goals. The nine goal thriller at Tilak Maidan ended 5-4 in the visitors favor as the team from Punjab are now in 7th spot of the Hero I-League ladder in their maiden appearance. Shillong Lajong FC also broke their away match jinx with a thumping victory against Chennai City FC. Lajong won 4-1 and the most amazing fact is that this is their first away victory since their 6-0 win against Mumbai FC in the 2014-15 edition of the I-League on 3rd April 2015. At the top half of the table, Mohun Bagan maintained their momentum with a 3-1 victory against DSK Shivajians. 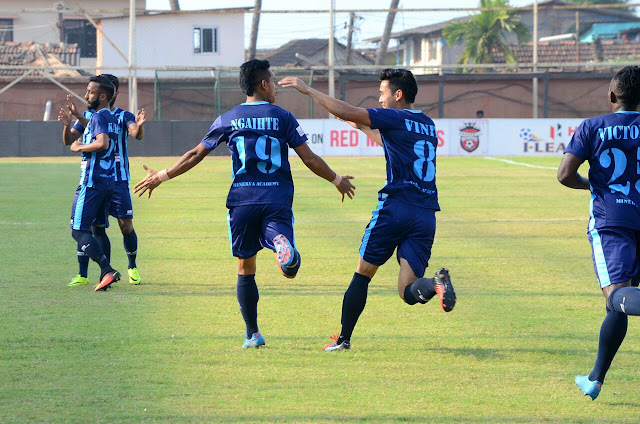 Balwant Singh's brace helped Sanjoy Sen's side register a solid victory at the Rabindra Sarobar Stadium. Bengaluru FC's slump in form continued as they drew against their nemesis - Mumbai FC. A frustrating result for Albert Roca's side saw them slip to 5th spot in the Hero I-League table with 13 points. Aizawl FC were the first team to put a dent on Trevor Morgan's unbeaten run in this I-League season. Amid reports of a possible "Aizawl spy" during East Bengal's training capturing their training videos, Aizawl FC came out with an inspiring display to register a 1-0 win against the Red and Golds.